All courses are certified by ALLMI (Association of Lorry Loader Manufacturers and Importers) and are recognised nationally. The certification is also recognised by CSCS. The course includes operation of a lorry loader crane including a remote control. Attachments can include the brick grab and hook. 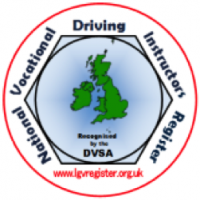 The course is certificated upon successful completion of a practical and theory test on the operating and safety procedures of a lorry loader. Our crane instructors are ALLMI registered and have over 15 years industry experience.